Americans say they don't want the U.S. to strike Syria, but that they could support a limited action that did not risk the lives of American soldiers, according to recent polls. In a new survey from NBC, 50 percent of 700 respondents said the U.S. should not take "military action" in Syria, while 42 percent said the U.S. should. 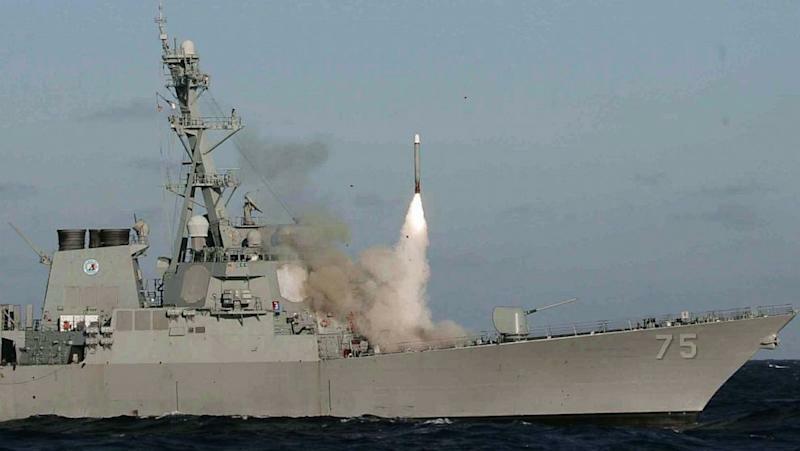 But opinions changed when participants were asked about airstrikes launched from U.S. ships, without involving ground troops or U.S. planes flying over Syria. Asked their opinion about a mission "limited to airstrikes using cruise missiles launched from U.S. naval ships that were meant to destroy military units and infrastructure that have been used to carry out chemical attacks," 50 percent said they would support such an action, while 40 percent said they would not. A full 79 percent, meanwhile, said President Obama should be required to gain approval from Congress for any kind of strike against Syria. Those latest numbers are consistent with other polling taken this month. As of Aug. 27, a Reuters five-day tracking poll of 2,293 Americans found similar opposition to attacking Syria in response to its suspected use of chemical weapons: 28 percent said the U.S. should intervene, 42 percent said it should not and 30 percent said they didn't know. It's not clear whether the Syrian government's alleged use of chemical weapons is a game-changer in U.S. opinion, at least when it comes to whether or how the U.S. should respond. Before and after Syria's alleged chemical attack on Aug. 21, Americans seemed reluctant to have the U.S. get involved in Syria, according to polls. In mid-June, a Gallup survey of more than 2,014 respondents found that 54 percent disapproved of providing Syrian rebels with direct military aid. An early July Quinnipiac University poll found that 61 percent said it was not in the U.S. national interest to become involved in Syria's conflict. But poll respondents this year said that a chemical attack would justify U.S. military action. In May, a CNN poll found that if the U.S. presented evidence "that convinced you that the Syrian government has chemical weapons and has used them to kill civilians in that country," 66 percent said the U.S. would be justified in "using military action against the Syrian government." As with the recent NBC poll, the July survey by Quinnipiac suggested that American public opinion could hinge on what, exactly, the Obama administration chose to do in Syria, if anything. In Quinnipiac's poll, 49 percent said they supported using "weapons which don't risk American lives, such as drones and cruise missiles, to attack the Syrian government," while 38 percent did not. There is, however, historical precedent for public opinion changing once military action is underway. In 2011, as civil war raged in Libya and as President Obama was considering his options there, Americans weren't sold on military intervention, according to Pew Research Center polling. In a March 10-11 poll of, 77 percent of 1,000 respondents opposed "bombing Libyan air defenses," while respondents were statistically split on "enforcing a no-fly zone over Libya." Later that month, a U.S./British/French coalition launched airstrikes in Libya. In Pew's follow-up survey, Americans supported the strikes over which they'd previously expressed skepticism: 47 percent said the U.S. and allies had made the right decision in conducting airstrikes, while 36 percent said it had made the wrong decision.